The War of the Five Kings draws heavily on The War of the Roses and George has even stated he is heavily influenced by this. Houses Stark and Lannister are often compared to York and Lancaster. The Wall is obviously inspired from Hadrian's Wall and again George has stated this. Lots of common British medieval things have been used as influence such as tourneys, knights and what not. Westeros looks very similar to the shape of the United Kingdom when you scan it by eye and The Wall is even similarly located to Hadrian's Wall, as are other landmarks, cities and features. The Lands of Ice and Fire, map of Westeros. This last one is most telling and I can't remember George ever stating that he based the shape and features of Westeros on the United Kingdom. 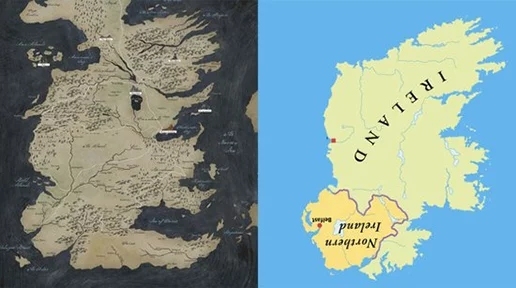 On a similar note, and something I hadn't considered before myself, the southern parts of Westeros are almost identical to Ireland rotated 180 degrees. This appears to be more than mere coincidence and something more than just subjective opinion in the similarities. 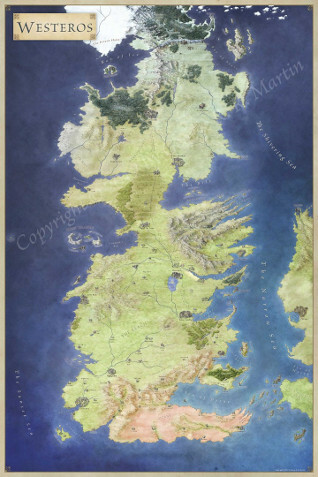 In this 2014 San Diego Comic Con panel discussion at 15m30s he says that his map of Westeros began as Ireland upside down, where the southwest of Ireland corresponds with the Fingers. 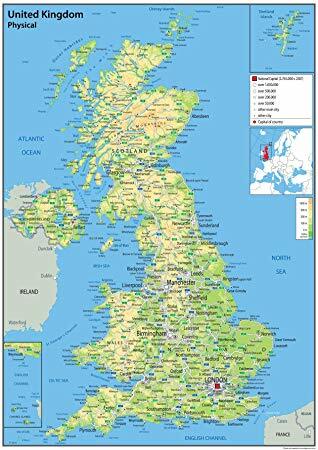 The North definitely looks like the UK, with the Wall pretty much in the same place as Hadrian's Wall. My Westeros began as upside down Ireland. You can see the Fingers is the Dingle Peninsula and stuff like that, I've changed things. George R. R. Martin has commented on this but surprisingly has stated that Westeros' shape is not based on the England and in fact can't even see the similarities himself. Although interestingly he does state that he based the fact that Westeros was off the west coast of Essos on UK being off the west coast of Europe. Not the answer you're looking for? Browse other questions tagged a-song-of-ice-and-fire george-r-r-martin or ask your own question. Has George R. R. Martin described the color of Daenerys' pubic hair in any book? Has GRRM ever confirmed that he named some ASOIAF characters after the Muppets?